Some years back, pet owners preferred leaving their pups behind. This was because of the discomfort that came with travelling. If one had a stubborn dog, the best thing would have been to leave him behind under someone’s watch or take him to a confinement training center. However, this trend has been changing over the years as people have fully appreciated the companion that comes with having your pet around at all times. Whether you are travelling by air or car, the best thing is to carry your pet with you since he is already accustomed to that relationship. Daily, we often make trips with our pups to our friends’, in-laws,’ a veterinary’s or even to work. So, what would stop you from going on vacation with him again? Unfortunately, travel may cause a lot of stress and anxiety to him. This is mostly shown through signs like barking, salivating, whining, howling, being restless, passing stool and urine, or having a forced physical contact with the owner. 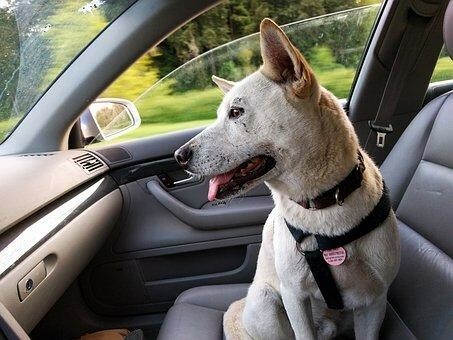 If you are the driver, this may be risky since the dog’s restlessness, and actions may divert your attention from the wheel. Fortunately, this article gives you better suggestions to make your dog a better traveler. Check them out below. If he shows problems during the short trips, you should step up in your game. The first thing is to take him to the back seat and praise him. If he looks nervous, give him the best dog treats to ease the situation. You can do this for a few seconds every day and increase the time gradually. By the third week, you should be in a position to stay for more minutes. While in the car, always remember to praise him or give him his favorite foods or toys. This will make him associate a vehicle with better experiences. Once he looks comfortable, you can take short trips around town to make him more accustomed to the travel experience. You could also pop in into play dates with other dogs, visit a pet store, or do whatever you think is fun for him. Repeat this regularly until it becomes a habit for him. Toys and clothes- Did you know that a dog is the best servant? Yes, he can do absolutely anything for his master. This means that he enjoys anything that his master likes. He has already mastered your scent. You can, therefore, pick your clothe from the laundry basket or give him a favorite toy to keep him occupied throughout the journey. However, don’t give toys that would turn out to be meals for your pup. Pheromones- These are chemical signals that are produced by animals to communicate with their nearby fellow species. The same happens when puppies are born. The mother produces the chemical to give them comfort and security. The same hormone is synthetically available in the form of sprays. Once he looks distressed, spray some on his toy or blanket to give him a calming effect. 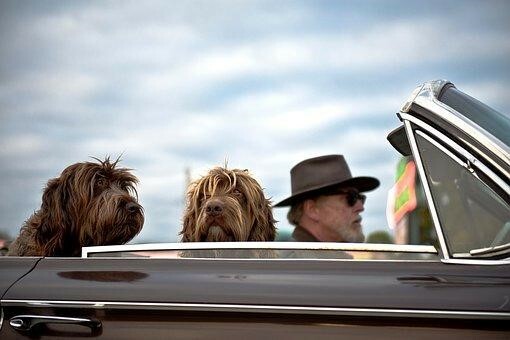 You should always have a restraint to keep your pup safe during the travel. Choose it according to the type of car, size of the dog, and his level of comfort. No matter how much training you have on him, he will always require some meds before his journey. These medications help to relieve stress and ease the journey. However, you should always consult your vet before purchasing them since they all have different effects on the body. Travelling is unavoidable for your pet. Whether you wish to make a quick visit to the vet or take your dog on a long road trip, you should always prepare him before this. I hope this article has been helpful to get your dog comfortable. Article submitted by: Alex Merashi – the content manager at AuthenticDogs. On our website we provide some well researched useful information for dog owners and lovers.